Liz has been practicing the art of Jin Shin Jyutsu since 1999. It was after her first session that she knew she had found a calling and it was something she wanted to learn and share with others. Since then Liz has studied with the best instructors from around the world and continues to share her love of healing work with others. 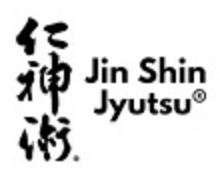 Jin Shin Jyutsu is a gentle yet powerful art which harmonizes the life energy of the body. It works on the physical, mental, emotional and spiritual levels. It brings balance which promotes optimal health and well-being and facilitates our own profound healing capacity. Jin Shin can also be applied as self-help and this was also a key to her attraction to learning it and would benefit her life tremendously. From an early age helping both people and animals feel well has been a passion. And through Jin Shin she finally found the best modality to do so. Her mission is to help inspire others to make changes in their daily lifestyle and to introduce a self-care practice for harmony on all levels of life. She believes we all have the ability to feel great no matter what the circumstance. Liz grew up in south Texas on the Mexican border and attended Randolph Macon Women’s College in Virginia. She received her degree in communications with a minor in both art history and Spanish. She has travelled extensively all over the world and is fluent in Spanish. Her career has included public relations, real estate and owning her own businesses. Starfish Creations produced handmade items for self-care and Rosie & Friends is a line of natural bath and skincare products for dogs. Her Rosie & Friends line was carried in several Whole Foods in the southwest region and is still available online and at various boutique shops. Liz also believes in giving back to the community and her volunteer work has included the S.P.C.A., Ronald McDonald House, Children’s Medical Center Dallas, The Make a Wish Foundation, Big Brothers and Sisters of Metropolitan Dallas, The Dallas Heart Ball (fundraising for Heart Research) which included her as Program Chairman, Assistant Ball Chairman and member of the Board of Directors. She also served as the treasurer of the Dallas Chapter of Randolph Macon Women’s College. She currently does volunteer work with her Jin Shin Jyutsu donating time to those who cannot afford alternative healing modalities. Testimonials about her work are available upon request.